Note: I received an advanced copy of this book from the publisher in exchange for an honest review. I knew very little about Shome Dasgupta’s The Sea Singer before I began reading it. The extent of my knowledge was that it was something vaguely to do with magical realism, was on Accent Press’s spring 2016 Young Adult list, and had an intriguing title. Whatever I was expecting, I was not expecting to be quite as blown away as I was. The Sea Singer is genuinely beautiful, strange and brilliant novel, one of the most original I have read. I remain a bit bemused as to why it’s being marketed as YA – for me it was just a brilliant piece of magic realism. It combines the matter-of-fact eccentricity of Daniel Wallace’s Big Fish with the magical beauty of Salman Rushdie’s Midnight’s Children with the matter-of-fact tone of Andrew Kaufmann’s All My Friends Are Superheroes. The book tells the tale of March, who is born in the month of April in a small town in India. She quickly proves a rather unusual child. March cannot close her eyes. From the moment of her birth, she cannot sleep. She sits and watches the world, and then she sings. In fact, March sings so beautifully and impressively that her mother in fact spent the whole of her pregnancy fast asleep, because the unborn March was singing her lullabies from the womb. That is the kind of novel this is. It is very weird and very brilliant. The story is a strange one. As the town March has been born in become increasingly concerned by her unusual songs and inability to sleep, they begin to plot ways to remove her, and her parents have to find a way to remove her from the grasps of the community. We then follow March as she grows up from a baby to a child, from a teenager to an adult, following her strange and sleepless journey through life. I should say that I’m not sure The Sea Singer is for everybody. The language is detached throughout and anyone who dislikes narrative distance might be a little put off. Emotion is rarely described, and the writing is not overly descriptive. The story is told in actions and dialogue, and the story moves quickly, sometimes covering years in just a few paragraphs. But for me, I found the writing incredibly easy to engage with and thoroughly beautiful. It is so simple and subtle that the story and the characters speak for themselves. There is nothing overdone in The Sea Singer. Everything is poised and perfect, every word thought-out and beautiful. For me, everything that needs to be told is, and although emotion is not described or looked into, we learn how the characters feel from the way they behave. It was the subtly of The Sea Singer that I really loved. It softly examines love, family and growing up, and quietly explores how communities deal with those they consider “other”, with how it feels to be thought of in those terms. Its characters are and strange and enigmatic, and yet you are somehow able to see and feel them all. There is a hint of a love story going through the second half of the book; it is barely touched on, never described – but the understated unsaid nature of this love story makes it all the more powerful. Moreover, there are some startlingly beautiful scenes between Maria and Jonas, and between March and Jonas; the book manages to be tender and deeply moving without ever being overwrought. I was moved to tears about three, which is quite impressive in a novel that is only about a-hundred-and-sixty pages. 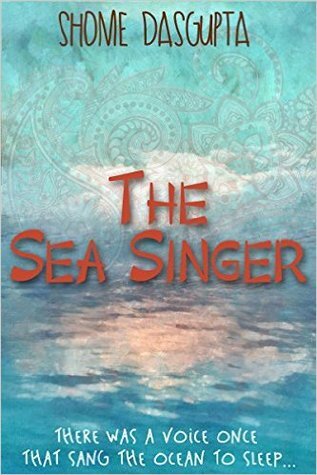 I read The Sea Singer in one sitting, and was thoroughly captivated. The last time I stayed up so late to finish a book was well over six months ago, when I read Ruth Ozeki’s A Tale for the Time Being. It’s a short yet powerful and brilliant book, wonderfully subtle and beautiful throughout. I found it so genuinely moving and I simply loved the story. It reads at times like a fairy tale, and yet the emotions of the characters are so well-developed that it feels real. I’ve mentioned before on my Booktube channel that I tend to prefer magic realism in short stories than in novels – but for me, The Sea Singer did it perfectly. It never attempted to explain what did not need to be explained. Nothing was overdone or overwrought. The plot is intensely strange, but it never feels silly. This is a wonderful, heart-warming beautiful book, elegantly and subtly written, and absolutely worth a read. I was enchanted. That is all. Greatest strength: The subtly and beauty of the story, how strange and yet poignant it managed to be. Greatest weakness: As I said, I don’t think the writing style would be for everyone, although it was definitely for me. Next review: I’ll be reviewing some non-fiction, Claire Tomalin’s The Invisible Woman. The Sea Singer comes out on the 25th February 2016. Click here to pre-order The Sea Singer through my Foyles affiliate link.